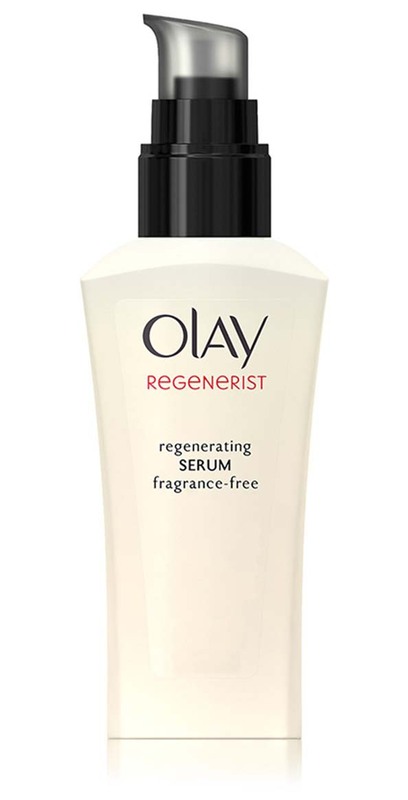 , actually it was more of a coincidence that my mom’s dermatologist recommended her to try the Olay’s Regenerist Regenerating Serum. 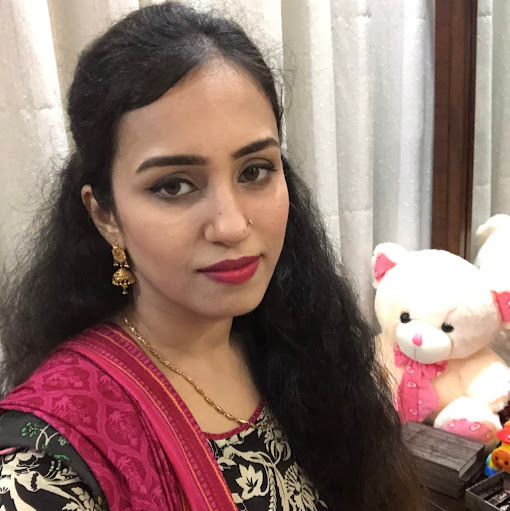 And I, the beauty freak got an excellent opportunity to write on it :-D. Before jumping onto the review, I would like to introduce this product to my readers first. Olay’s Regenerist line was first introduced in the year 2003 and got immense popularity due to its claimed anti-aging benefits. Olay is a brand of P&G Corporation, well known for its beauty and cosmetic products. The Regenerist Regenerating Serum is one of the popular products from this product line; it is a fragrance-free and transparent serum that is equally good for oily, dry or combination skin types. Another good thing about this serum is the price that’s nominal compared to the other anti-aging products in the market. The Serum is a combination of organic and synthetic ingredients that works phenomenally well to treat skin wrinkles, bags under eyes, fine lines and uneven skin tone. 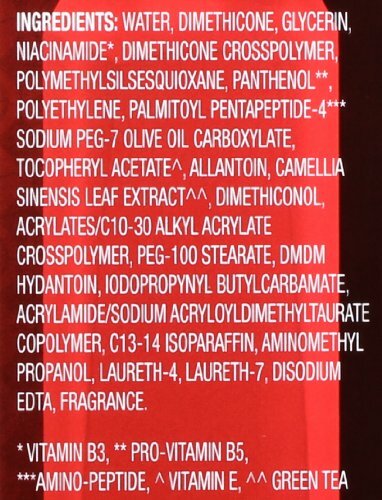 Water, Dimethicone, Glycerin, Niacinamide, Dimethicone Crosspolymer, Polymethylsilsesquioxane, Panthenol, Polyethylene, Palmitoyl Pentapeptide-4, Sodium Peg-7 Olive Oil Carboxylate, Tocopheryl Acetate, Allantoin, Camellia Sinensis Leaf Extract, Dimethiconol, Acrylates/C10-30 Alkyl Acrylate Crosspolymer, Peg-100 Stearate, Dmdm Hydantoin, Iodopropynyl Butylcarbamate, Acrylamide/Sodium Acryloyldimethyltaurate Copolymer, C13-14 Isoparaffin, Aminomethyl Propanol, Laureth-4, Laureth-7, Disodium Edta, Vitamin B3, ** Pro-Vitamin B5, ***Amino-Peptide, Vitamin E, Green Tea. Use a good face wash to cleanse your face. Apply the Regenerist Regenerating serum on your face and neck and massage it in circular motions until absorbed. Now apply the moisturizer on your face and continue your daily regimen as usual. You can use this serum in day and night. You can use this serum as a foundation primer without any worries. 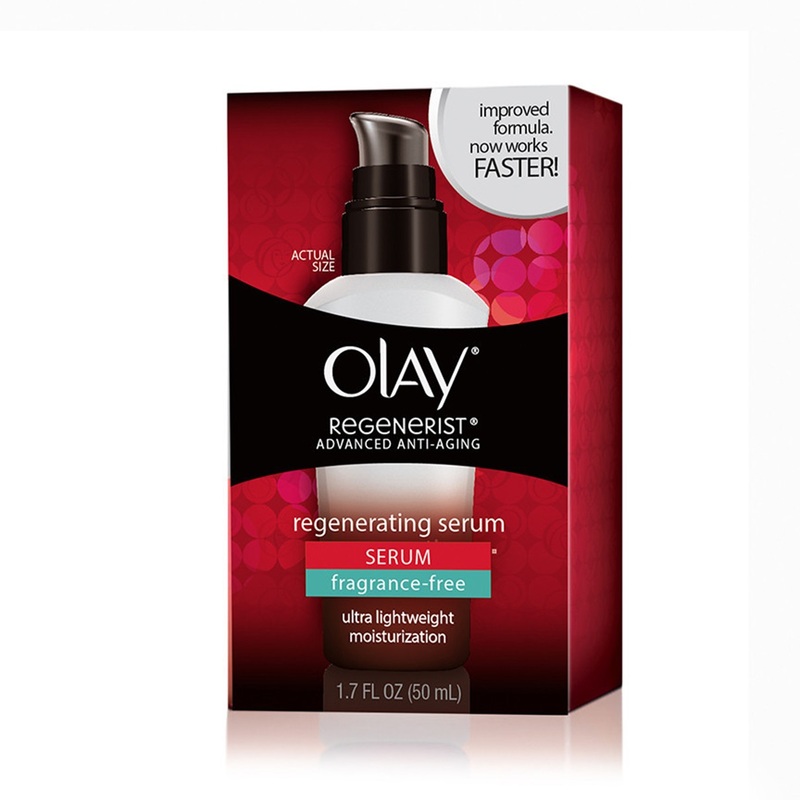 The Olay Regenerist Regenerating Serum is a transparent and fragrance-free serum. It is more like a moisturizer, and it never feels heavy on the skin. The best part about this serum is its compatibility with every skin type. The addition of Amino peptides and Vitamins helps skin heal faster and increases the skin cell turnover rate, so the skin stays wrinkle free. My mother has been using it for a month, and the serum has paid off a little to cheer about. During the first week, she felt a slight tingle on her skin but nothing of a serious nature. The only thing she observed was her skin got soft a bit and nothing else during the first two weeks. But after frequent use, she does not feel any irritation on her skin at all, and there is some improvement in the fine lines on her facial skin. You can easily use it as a makeup foundation primer, and it really helps retain the moisture on your skin. After three weeks her skin has gotten a little firm the wrinkles on her neck have decreased a bit. To be honest, there is no magical potion in the world that can cure your wrinkles in some nights. She’s been in contact with her dermatologist and quite convinced with the performance of this serum up till now. Another good thing about this serum is your skin never feels oily regardless of your skin type. It really balances the moisture on your skin, and you do not feel greasy at all. Overall, there is some improvement in the texture and tightness of her skin but the progress is not really fast as I have read on some of the review websites on the internet. The combination of organic and synthetic ingredients works quite well. It is readily available at drugstores. 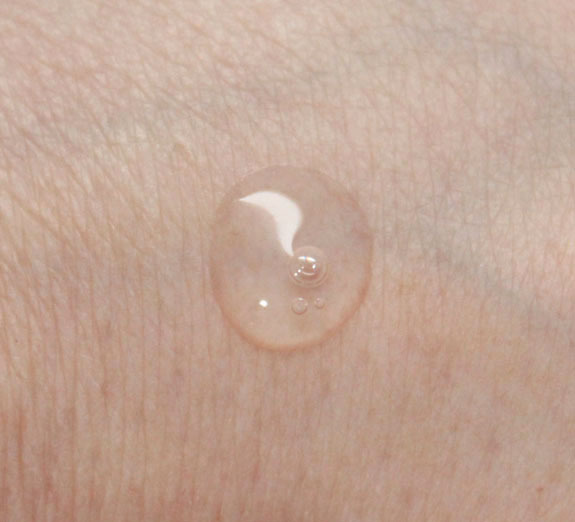 Increases the absorption of moisture in the skin and improves firmness. It can be used under makeup. 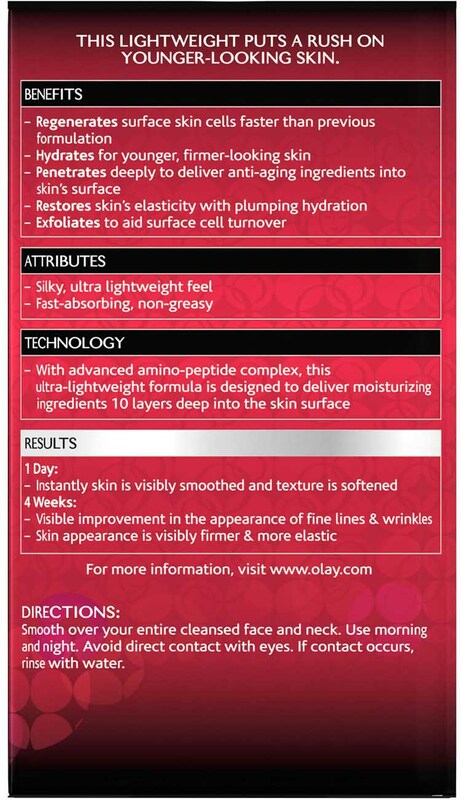 The progress in the improvement of skin is quite slow compared to the way Olay has claimed it. The dispenser over spills the product sometimes. 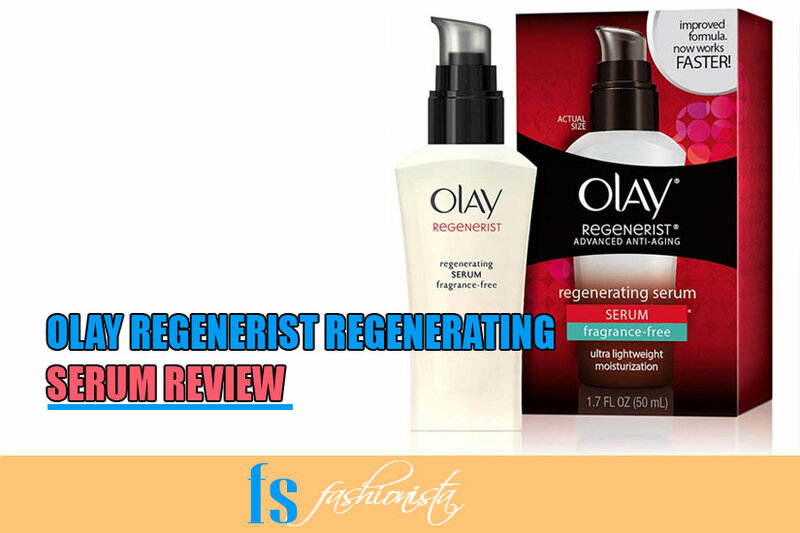 Olay’s Regenerist Regeneration Serum is a nice anti-aging skin product, but I am quite amazed by the reviews postulating the quick action of this product. This product does work, but you cannot consider it as some magic potion to get rid of wrinkles or fine lines from your face. I would rate this product 6 out of 10 the product works fairly well with the organic-synthetic combination, but you should not expect it to work a miracle within few applications.